Meditation has been around for thousands of years, as has self-hypnosis, as a tool for deep relaxation, clearing the mind and achieving a state of inner peace. Meditation and self-hypnosis can be used in conjunction with visualization and yogic exercises as part of a powerful stress-management routine. 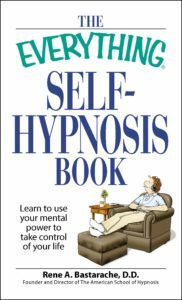 Self-hypnosis is like meditation in that the practicioner draws on a “relaxation response” to decrease stress and remove negative thoughts from the mind. Meditation is more about a clearing of the mind (seeking a “quiet mind”); self-hypnosis uses affirmations; but both build self-confidence, manage stress, and create positive change within. What are affirmations? Affirmations are statements we make to ourselves, consciously, to influence our subconscious thought patterns. 1. If you wish to use affirmations as part of your self-hypnosis sessions, prepare them beforehand. Here’s a little-known tip for creating the best, most useful affirmations: always say them in the present tense “I am” or “I have”. Also, always focus on what you want, rather than what you don’t want (as in “I am slender” rather than “I want to lose belly fat”). 2. Find a quiet place with no distractions, where you will not be disturbed. You decide how long your self-hypnosis/meditation session will last; give yourself enough time, so you never feel rushed. Most people spend a minimum of 15 minutes; many use a full hour. This is completely up to you. 3. Relax your body. Starting at the top of the head, consciously relax each part of your body; with each muscle release, imagine all the stress and tension in your body leaving. “With each exhale I am becoming more relaxed, as stress leaves my body. With each inhale I am welcoming lightness and joy to fill me.” Or something like that. It’s important to use whatever imagery works for you! 5.Use imagery to enhance your affirmations. If you visualize yourself happy, thin, wealthy, etc., your mind will be more receptive to those suggestions than through repetition of affirmations. If you use imagery, make it vivid, with great detail, and include emotions and that go along with that affirmation. For example, “I feel slender” – have the visual, but also feel the happiness and self-confidence you gain in the process of losing weight.